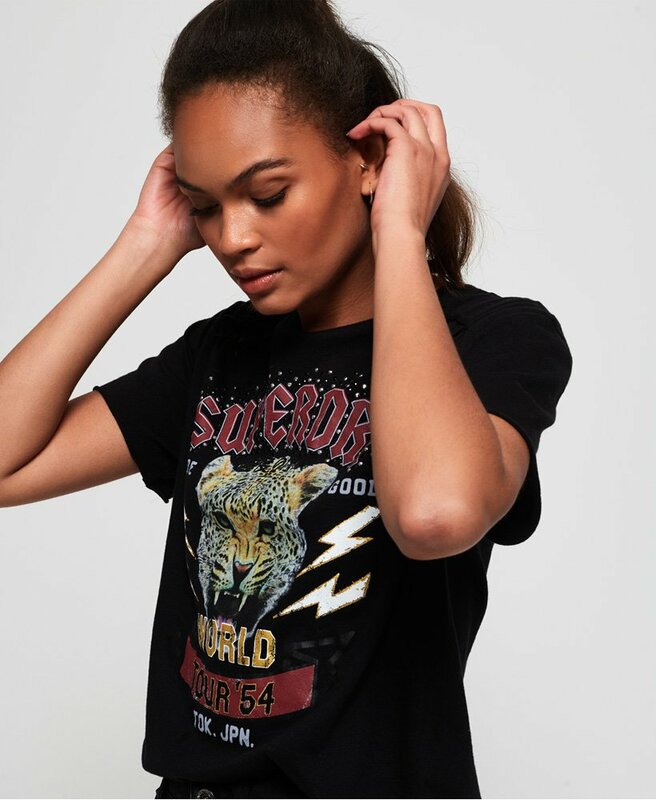 Superdry women’s Payton knot t-shirt. Update your t-shirt collection with the Payton knot t-shirt. This tee comes in a flattering loose fit with an unfinished hem and cuffs. The Payton knot t-shirt also features a crew neck, knot detailing on the shoulders and a large tour inspired Superdry graphic across the front. This t-shirt is finished with embellishment detailing around the logo and a Superdry logo badge above the hem. Style with tee with distressed denim for a laid back look.